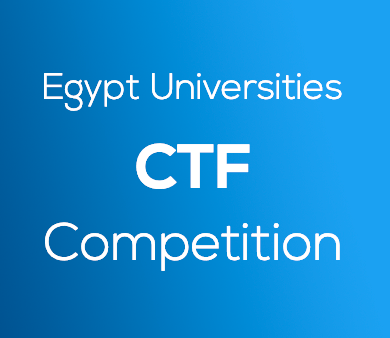 For the first time in Egypt, We are conducting Cybersecurity CTF Competition at Alazhar University Where you can participate as a Team and compete in your field of interest. Anyone from Alazhar University can participate without any adherence to the age or the nationality or Major. The minimum number of players/team is Two and the maximum number is three members. All the team must be undergraduates &amp; students from Alazhar campuses. All students from Alazhar University allowed joining the competition. Rules concerning the platform are included. Sharing the flags between different teams is prohibited. Brute Force attacks on the challenges submission portal or challenges links are not allowed. Any attack against the site or the hosted servers will be observed and the player might be banned from participating in the CTF. Any trials for interrupting the CTF, or any unethical behavior, Organizers has the permission to disqualify teams. The first winning team of Alazhar University Cyber Security CTF Competition will represent Alazhar University at Egypt Universities Cyber Security CTF Competition 2018 that will be held on the December 2018 in Cairo, Egypt.